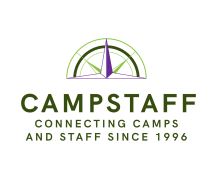 CampStaff pulls 3 or 4 Instagram images from member camps everyday to feature summer camps and summer camp jobs. To be honest, with many summer camps, it’s pretty tough to find great staff specific images to use. Don’t get us wrong, you are doing GREAT with camper centric posts. And we understand not wanting to feature the staff-only Friday night basketball game to camper parents. Solution? Add a staff specific Instagram feed. Add a new staff instagram account. Need help? Click here. Repost any images from your shot list already posted on your main camp Instagram feed. Ask your camp staff to FOLLOW your new feed and share with their friends. Ask your staff to contribute to missing items on your shot list; post with #hashtags. Give your shot list to the camp photographer next summer and repost with current shots next fall. Have your staff tag your staff feed in any camp related pics they post. Shots of camp staff getting together during the school year are great. Make it a game – offer Starbucks gift card for the person who tags the camp page the most each month. Repost any great pictures that the staff tags. Just remember, you are telling a story to potential staff about how your summer camp staff feel about camp. Sometimes a short explanation may be needed to narrate the pictures – like the one where the staff are dressed as Zombies in July! BONUS OPPORTUNITY: Add a staff facebook page and link it to your new staff Instagram account. Posts to Instagram can automatically be added to Facebook, doubling your staff content. Social media users over 35 years old are more likely to be on FaceBook than any other platform. If your staff hires staff in this demographic, don’t miss out on the chance to reach them!